Auberge® offers Fulham’s industry leading, fully integrated, Workhorse HotSpot1 emergency battery back-up system as an option for all shade shapes using the AU-R15W LED module. During power outage the HotSpot1 system provides 485 lumens of illumination via an LED board mounted on the bottom of the sconce and oriented to provide light to the egress pathway. 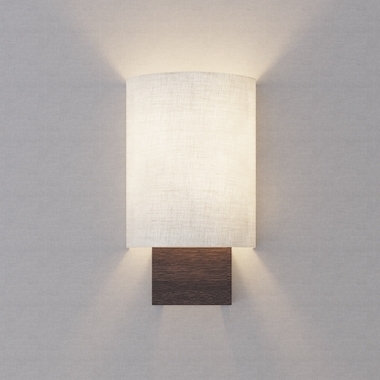 All electronics are fully integrated within the sconce. >90 Minutes of emergency light output in the case of a power outage. 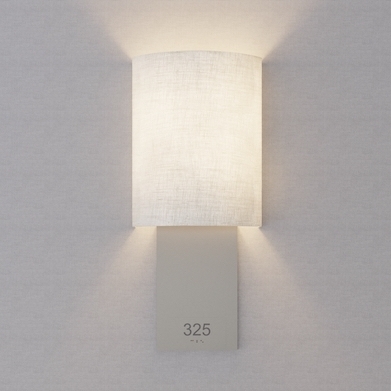 In Emergency back-up mode, HotSpot1 systems provides 485 lumens from PCB mounted on bottom of sconce.